In November 2016, Dean Reuterdahl presented his poignant critique of gender in American politics at The Northwest Undergraduate Conference in the Humanities at North Idaho College in Coeur d’Alene, Idaho. Presenting on a panel with three other presentations (another from WSU) on gender within society. Dean’s essay highlighted the differences in the media’s treatment of women in the campaign for the nation’s highest political offices. He wrote the paper in his History 469 course, under the direction of Dr. Jennifer Thigpen and it was particularly relevant during the fall’s campaign. A History major, Dean is also a secondary teaching candidate in the College of Education. Congratulations on a successful presentation of your research Dean, you’ve done a terrific job! The Department of History is happy to announce that PhD student David Bolingbroke was awarded the Graduate School’s Arnold and Julia Greenwell Memorial Scholarship for Social Sciences and Humanities for the 2017/18 academic year. Bolingbroke plans to use the $1000 scholarship to fund research travel towards completion of his dissertation directed by Jeff Sanders. Congratulations David! Tentatively titled “Atomic Restoration: An Environmental History of the Hanford Nuclear Site,” the project focuses on Hanford, the country’s largest nuclear cleanup site, and its dynamic relationship with nature from the time it produced plutonium during World War II and the Cold War to ongoing nuclear waste cleanup efforts. His project emphasizes the work of ecologists studying the effect of radioactivity on living things and how they produced a new knowledge system centered on understanding nuclear landscapes. Bolingbroke’s work in Atomic Energy Commission records and other collections outside the state will add to work he has already done in Hanford History Project collections at the WSU Tri-Cities campus: https://tricities.wsu.edu/hanfordhistory/. For more information and photographs of the Hanford Nuclear Site, see the WWW link here. David Shier, Associate Dean of the Honors College at Washington State University congratulated Claire Thornton and her advisor, Dr. Lydia Gerber, for the high quality of Claire’s Honors thesis. 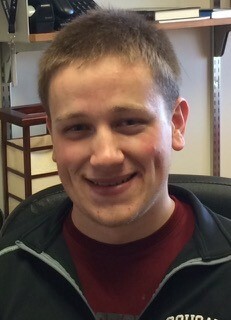 Dr. Shier writes: “Your overall thesis performance (including both the written thesis and the presentation) was noted by the faculty reviewer and by your thesis advisor, both of whom agreed that your thesis was worthy of nomination for a “Pass with Distinction.” This nomination is a significant recognition of the quality of your academic commitment and performance. The Honors College often posts copies of theses that receive “Pass with Distinction” on their website as examples for future students. Copies are also sent to the Washington State Libraries Research Exchange. Posting on the website and in the Research Exchange will make Claire’s thesis, “The GI Bill at WSC (Washington State College),” publicly available as part of the digital repository of research-related documents. The College of Arts and Sciences at WSU awarded David Bolingbroke a 2016 Boeing Graduate Fellowship in Environmental Studies. This fellowship provides him with $1,000 dollars research travel funding towards his dissertation. Congratulations, David! Bordering the Tri-Cities, Washington, Hanford is the largest nuclear cleanup site in the world. It once produced the United States’ plutonium stockpile during World War II and the Cold War. Now, workers are tasked with cleaning up the contaminants left behind and restoring the Columbia River and Plateau environment. My dissertation project—tentatively titled, “Atomic Restoration: An Environmental History of the Hanford Nuclear Site”—will tell the story of how ecologists, local residents, and on-site workers responded to the release of radioactive particles into the region’s natural environment. In particular, it will focus on the role of animals and how they help us to understand the new scientific knowledge system and place that Hanford created. The Boeing Graduate Fellowship in Environmental Studies provides me with the funding to travel to Washington D.C. and conduct research in the Atomic Energy Commission Archives. This research will be vital in building my chapters on Cold War Era ecologists and their study of radioactivity’s effect on living things. Ryan Booth’s book review has been published in Columbia: The Magazine of Northwest History. “Hang Them All – George Wright and the Plateau Indian War” was written by Donald L. Cutler and examines the often forgotten chapter of the U.S. Army and Native American interactions in the antebellum American West. This article and book are well worth the time to read. It mentions Colonel Edwin Steptoe and his defeat at Pine Creek outside the town of Rosalia in Whitman County. Ryan Booth is a member of the Humanities Washington Board of Trustees. 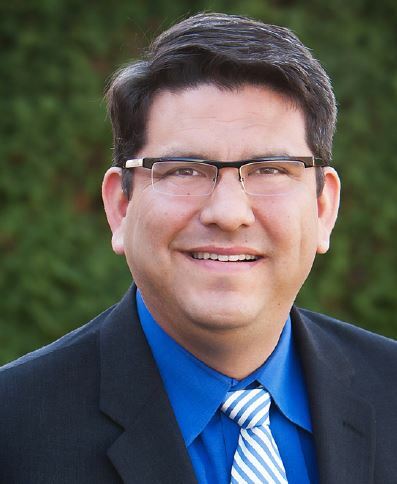 He earned his MA in history from Central Washington University and his PhD is from southern Methodist University and Washington State University. “On behalf of the American Catholic Historical Association’s John Tracy Ellis Dissertation Award Committee, I would like to congratulate you on being selected as the recipient of the 2016 Ellis prize. 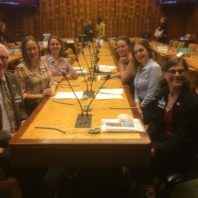 The Committee was impressed with your research project and the unique approach you have taken to explain the preservation of the Catholic faith following Sixteenth-century Elizabethan reforms. Your innovative methodology, paying attention to gender and space and the role widows played in preserving English Catholicism, provides new insight to the survival tactics employed by Catholics after the Church was formally banned in 1559. Fascinating! Dr. Phil Travis announced the publication of his first academic book, which was officially released on November 16, 2016. 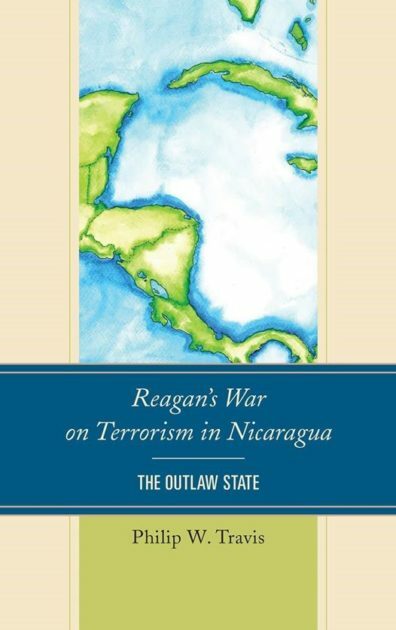 The book title is “Reagan’s War on Terrorism in Nicaragua: The Outlaw State.” See Dr. Travis’ website at http://philiptravis.com for anyone interested in what this project is about (there is also a discount code should anyone wish to purchase the book). I am currently an Assistant Professor of History in the Department of Social and Behavioral Sciences at the State College of Florida, Manatee-Sarasota. The team of five students advised by Ken Faunce, won the WSU Global Case Competition. The theme in conjunction with the United Nations was “Arbitrary Detention in the U.S.” The team looked at the debtor’s prison concept. The team highlighted the issue and then came up with solutions to the problem. Eighty students competed. 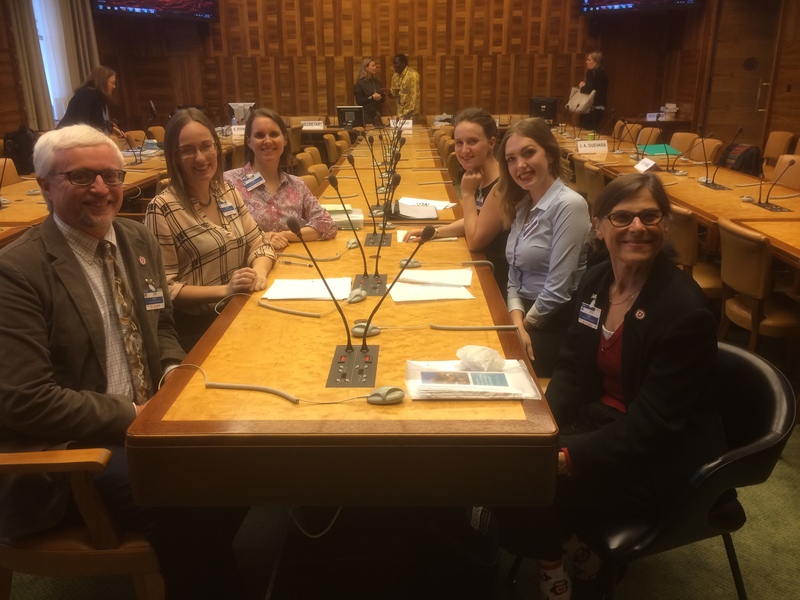 By winning, the team traveled to Geneva, Switzerland for a week in November to present their findings to the U.N. Arbitrary Detention Working Group. Also, the team leader is History major, Maddy Hunter. Pictured here is the team in Geneva. See more about this event by reading the brochure. Jesse Spohnholz’s article “Archiving and Narration in Post-Reformation Germany and the Netherlanders” was published in the Past and Present, 2016 Supplement. The article offers an example for how the ‘literary turn’ and the more recent ‘archival turn’ speak to Reformation history. For the next three months, the article is available for free download. “Past & Present” is one of the most prestigious history journals in the English-speaking world. For the full text, see more. Graduate students who have taken History 580: Historiography and undergraduates taking History 445: The Reformation next spring should check it out!